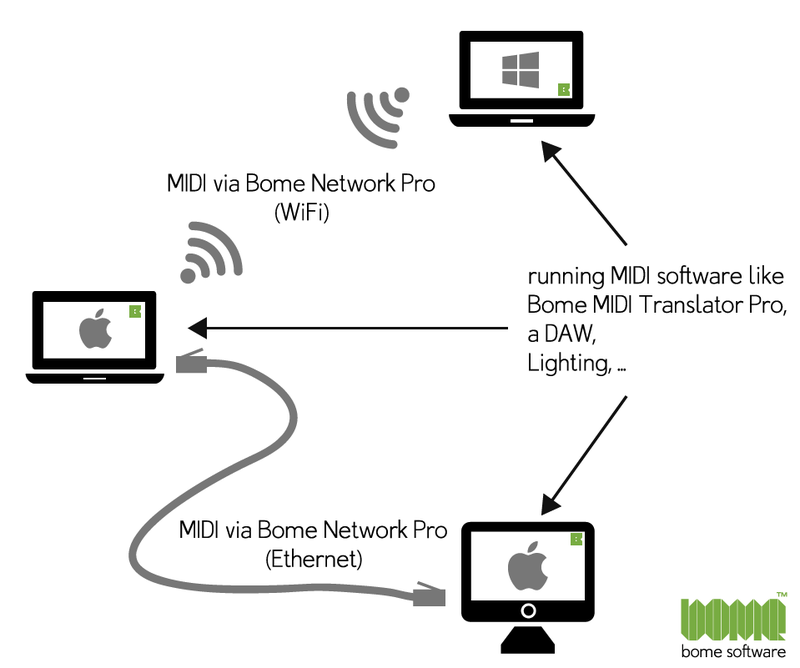 The Pro license for the Bome Network tool allows you to create MIDI connections from computer to computer (and soon tablets and smartphones) — similar to Apple’s Network MIDI, except that it seamlessly works with the BomeBox, too. The latest Software Version is 1.2.1. Upon purchase, you’ll receive a license key. 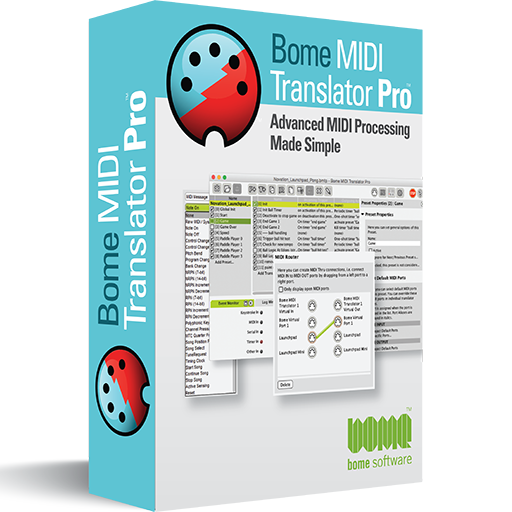 Enter that license key in the Bome Network settings to activate the Pro features. Currently available for macOS and Windows. Download on the Bome Network page. 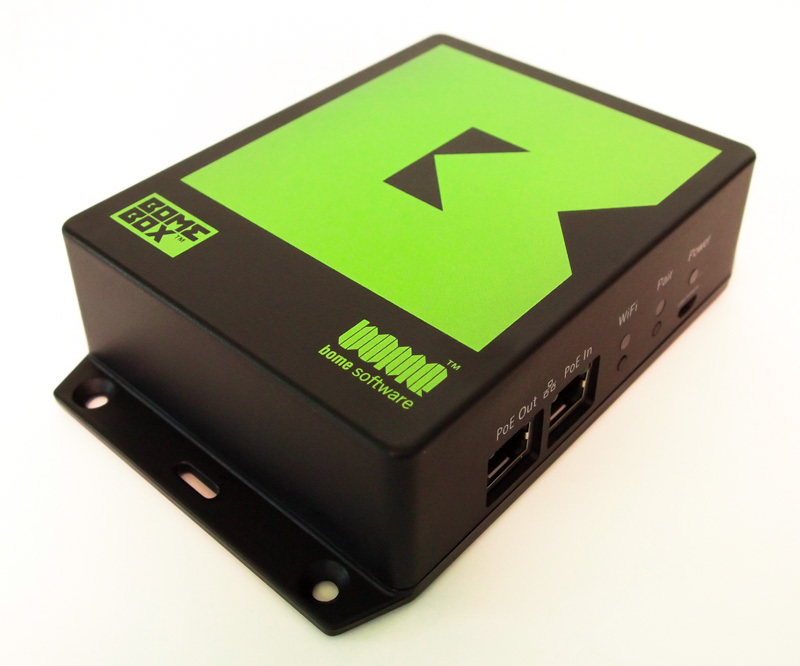 One Network Pro license is good for up to 5 computers connected to the same network. Connecting 6 computers requires 2 licenses, just as running two networks with each 5 or less computers does. 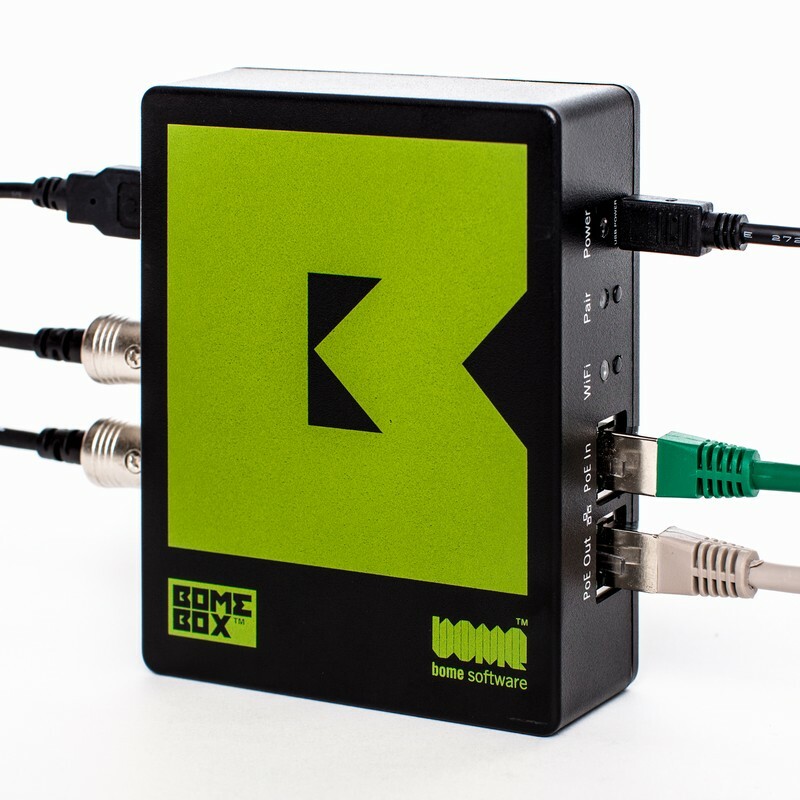 Only computers which run the Bome Network Pro tool count. This product is purchased as a digital download. After your purchase, you will receive the personal license key via email. Please note that this software uses technical means to prevent modification of the software itself. If the binary executables are modified, the program will stop working. This can be fixed by reinstalling the software from the original installer.